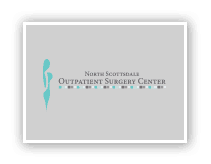 Dr. Gawley is one of the premiere plastic surgeons in the Scottsdale and Phoenix area. He specializes in cosmetic and reconstructive surgery of the breast, body and face. Dr. Gawley combines his extensive training and state-of-the-art technology to provide his patients with personalized care and natural results. A native of Tucson, Jamie received her undergraduate degree from Eller Business School at University of Arizona and then went on to get her Masters in Physician Assistant Studies from Midwestern University in Phoenix. Both NCCPA Board Certified (National Commission on Certification of Physician Assistants) and Arizona State licensed, Jamie specializes in facial aesthetics, preventative medicine, and skin care.